Ricardo Cummings was excited as he recently waited for his washer and dryer to be delivered to his new condo in Scarborough. With a balcony, high ceilings and 515 square feet of light-filled living space, his home in Danforth Village Estates represents a dream he thought was still 10 years away. But a postcard in the mail put his goal on fast-forward. It was from a non-profit organization called Options for Homes, optionsforhomes.ca, which builds and assists buyers’ purchases in a unique brand of affordable housing. Through an alternative financing model, Options enables would-be homeowners in the GTA to buy years sooner. Qualified purchasers make a 5 per cent down payment, then Options adds another 10 to 15 per cent in the form of a down-payment loan. Repayment of the shared-appreciation loan isn’t required until the unit is sold. A mortgage is then arranged through a primary lender for the balance of the purchase price. Cummings, whose $250,000, one-bedroom suite is in a just-completed building at Danforth Rd. and Eglinton Ave., says the down payment loan of 13 per cent (about $30,000) he received to top up his 5 per cent was a deal-maker. “I had a steady job — a good job — and good credit, but at first the banks were telling me, ‘No, you don’t qualify’ (for a mortgage),” says Cummings, a Gr. 4 teacher who switched careers from engineering, and was earning about $55,000 a year when he bought the condo in 2013. “Saving for a down payment for me as a new teacher was almost impossible,” he says, estimating he’d need 10 years to match the loan from Options. 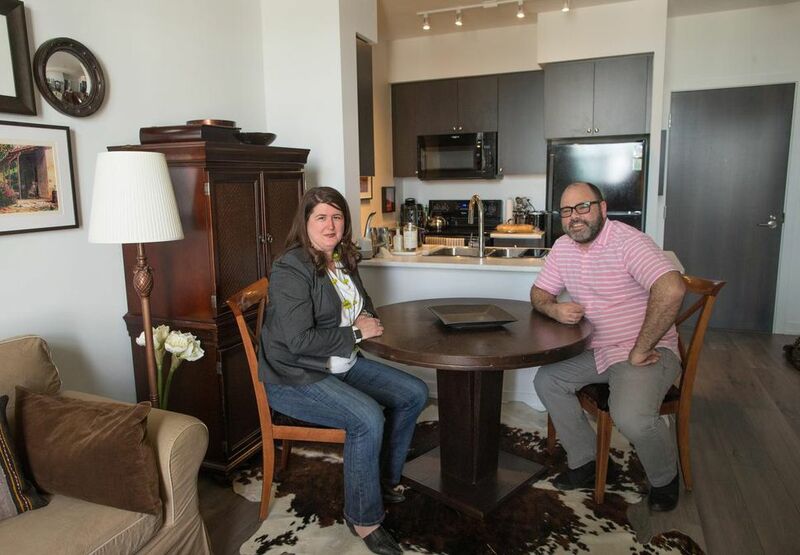 Since launching their first development in the Distillery District 25 years ago, Options for Homes has housed 3,500 GTA residents in 10 completed projects. They were recently honoured with an Affordable Housing Champion award from the City of Toronto. And in a report from the Canadian Urban Institute last year, director Jeff Evanson called for greater affordable ownership in the GTA and cited Options for Homes’ capacity to develop mixed-income communities as one option to help ease the housing crunch. “A big part of our success is due to our model of providing down payment support, which gives us the ability to buy more land and build more projects,” says CEO Heather Tremain. Purchasers range from singles and young families to downsizers and new Canadians, according to Mary Pattison, director of sales and marketing. The majority are first-time buyers. To qualify, purchasers must be “credit-worthy” and have enough income for condo fees and mortgage payments, explains Pattison. Investors are weeded out by having people sign an affidavit stating they’ll live there. By avoiding big-ticket items like pools and gyms, the developer can pass along cost savings to buyers but the buildings “don’t look like affordable housing,” notes Tremain. 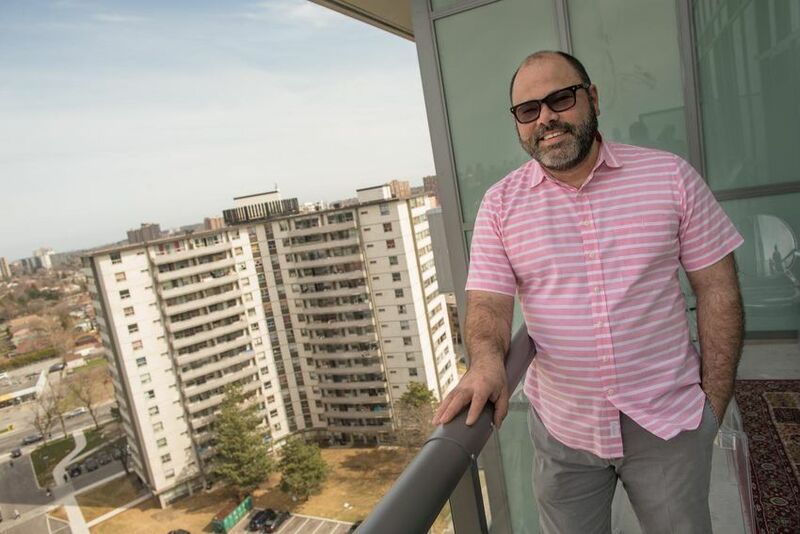 For Juan Tosto, a self-described “very frugal, practical kind of guy,” buying a condo unencumbered by fancy amenities, slick marketing and pushy salespeople was an easy decision. 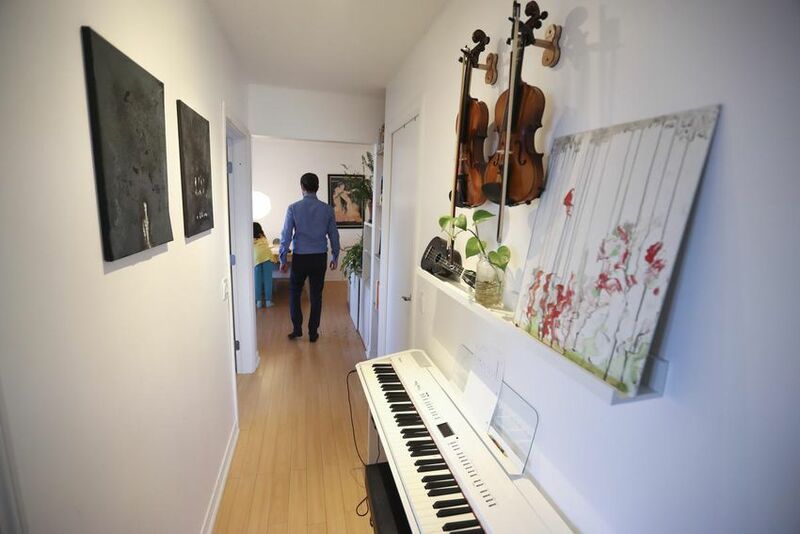 “You end up paying for all that,” says Tosto, 40, who lives with his wife Yanina and their two children Matilda, 9, and Gian, 7, in a three-bedroom suite they bought for about $380,000 in 2010. Instead, his family makes good use of the building’s simple rooms designed for hobbies, family time, parties, ping pong and fitness. Tosto, a financial controller, praises Options staff for their “no pressure” style, customer service and “straightforward” purchasing process. A member of the condo board, Tosto says a 2015 survey showed their fees averaged 39 cents per square foot compared to 56 cents for buildings of a similar size and age. Tremain points out that Options, as a self-sustaining entity, isn’t dependant on the government and also doesn’t compete with for-profit developers. With their “pay-it-forward” purchase model, they can give buyers financial help from the repaid loans of previous buyers. Options’ next project, being launched this summer in partnership with construction company Deltera, is a 22-storey tower on the Humber River, near Weston Rd. and Lawrence Ave. W. With prices averaging $450,000, units will range from 445-sq.-ft. bachelors to 1,160-sq.-ft., three-bedroom suites. Recent dramatic shifts in the real estate market and new mortgage stress test rules have spurred Options to work more closely with purchasers, says Tremain. Now they’re taking a more “hands-on, one-on-one” approach as well as asking aspiring home owners — with Options’ financing — to pre-qualified for their mortgages, with Options’ .